Comments Lovely lustrous Iolite. 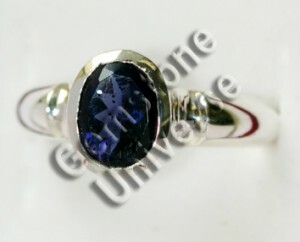 Iolite also known as Neeli is a superior Blue Sapphire alternative and gives good results. Patrons have informed that Iolite has delivered results comparable to Blue Sapphire.